Check that you are logged in to your Facebook account in the browser. This should be the Facebook account through which you can access your campaigns. Make sure your Facebook account has the necessary permissions to access leads from the campaign. Otherwise leads won&apos;t be forwarded successfully to LiveCall. 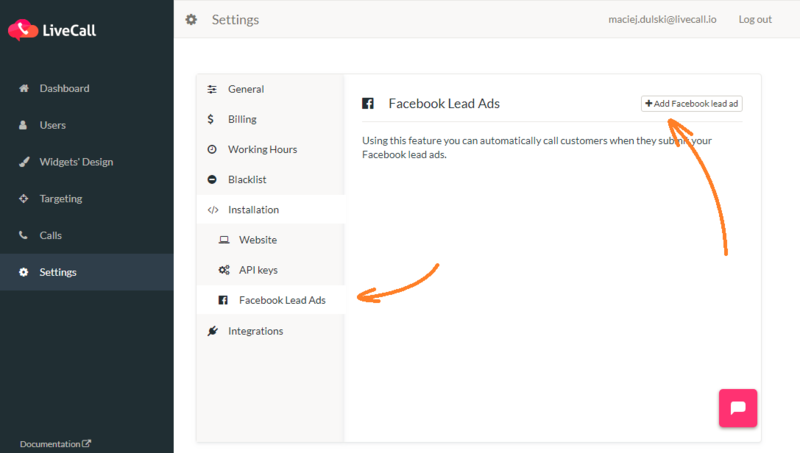 Add a Facebook Lead Ad integration to the LiveCall panel. Once a visitor leaves his phone number, LiveCall will make a phone connection with your agent.